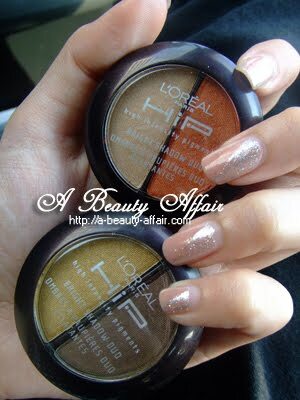 Thank you L'oreal for the invite to preview the latest cosmetic range - HiP (Highly Intensity Pigments). 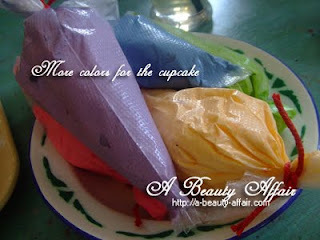 As the name suggests, be prepared to be wow over by bright and trendy colors in this collection. 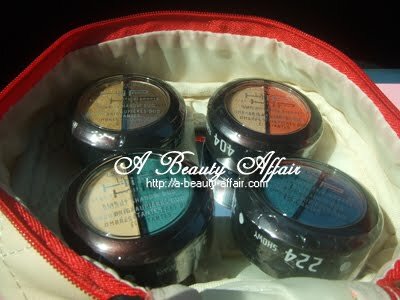 The eye shadows are richly pigmented for a more intense and long-lasting look. 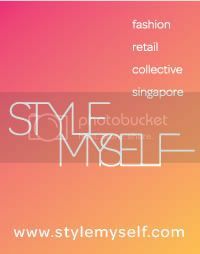 The range is imported from US and Singapore's fortunate enough to be the FIRST in Asia to have it in stores! 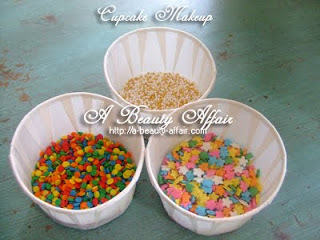 You're not limited to using the duo colors in each tub but encouraged to mix and match the shades from more then one. 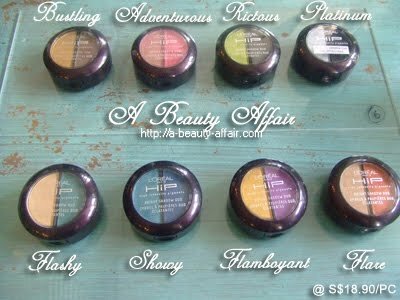 Each eyeshadow duo is retailing at S$18.90. I thought that was really cool, to have a compartment below the palette tub that contains a mini applicator! 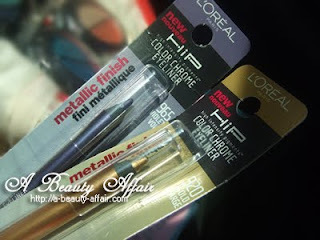 To compliment the gorgeous eye shadows, we have HIP chrome intensity eyeliners to compliment the look. Above 2 photos are credited to the original owner. 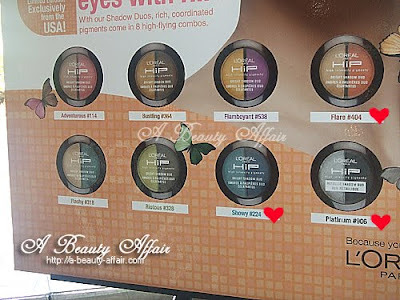 These eyeliners are very smooth and creamy, they glide on the skin effortlessly. My favorites would be the Violet Volt and Black Shock because I think that these colors are much easier to wear then the other two. As you know, I am a rather boring person when it comes to makeup. 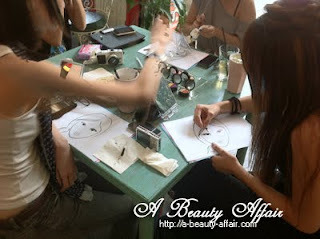 Each eyeliner is retailing at S$17.90. 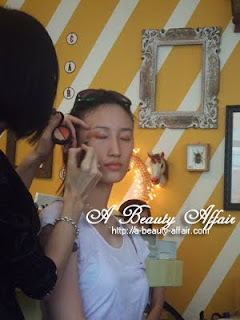 Held at Hairloom & Caramel, this mini preview today begun with makeup guru & creative director of World Of Colours, Julyen working his magic on the model using the Hip colors. 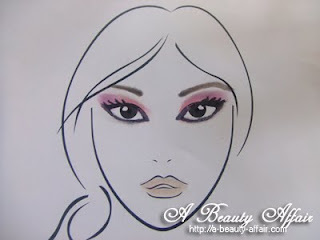 Anyway, one of them being that if you want to smudge your liner or eyeshadow. Use a small brush and sweep lightly in an up-down motion. 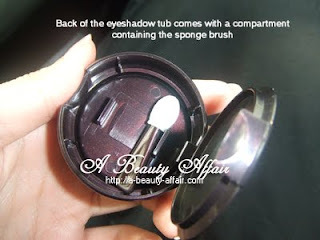 And for easier application of loose powder; to use a smaller brush then the usual big face brushes so this allows you to concentrate on every nook and corner on the face. Julyen also mentioned that we could add some color to a smoky eye look, so for instance, he added dark purple at the socket line for his model, making her eyes appear more deep set. He'll most likely do a recap on the tips & techniques, so I will be updating this post soon! 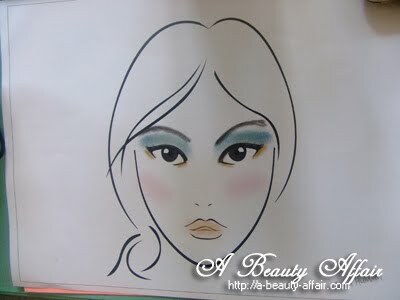 We got to play around with the palettes and design our own look on paper. 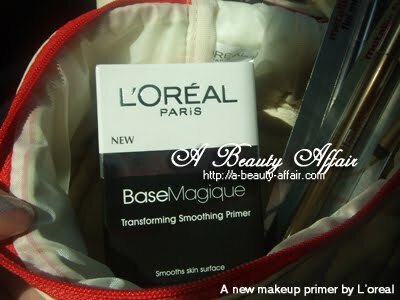 Or if we were bold enough, we could do it on our face and the best 3 would win a goodie bag from L'oreal. Check out Huimin's & my masterpieces. I thought mine looked like a vampire or something evil. LOL! And then it was cupcake decoration time!! 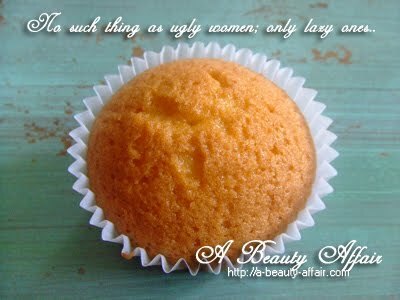 So my cupcake was a plain jane and pretty upset over it. But like they say "No such thing as ugly women; only lazy ones"
I was gonna give my cupcake a little makeup. 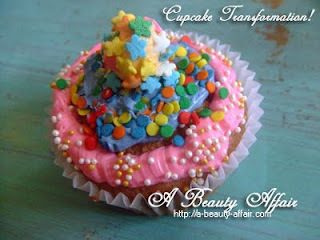 Now, presenting my transformed HIP cupcake! I thought that it looked like a Christmas tree cupcake. Very festive feel and I liked it. Pity Hairbloom & Caramel did not have cupcake takeaway boxes so I had to abandon it at the cafe. 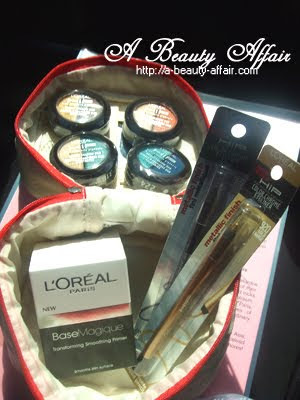 2 chrome eye liners and L'oreal's latest makeup primer all packed in one pretty makeup pouch.